Kids are natural fiddlers and tinkerers, so using math manipulatives makes sense on may levels. Not only does it help the child be able to concretize abstract concepts, but it also helps turn tedious math repetition into play. 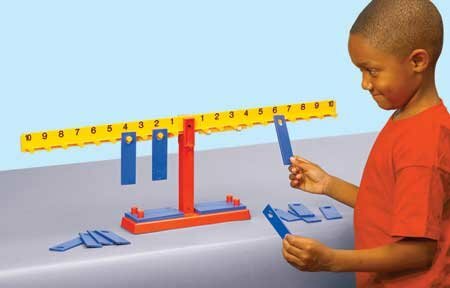 There are several different kinds of math manipulatives which can be helpful. Pretty much, any household object that you have in sufficient numbers can be turned into a counters: beads, buttons, seeds, popsicle sticks, checkers. For our family, buying counters in the shape of animals made the most sense. Lady Chatterly enjoys stories so having counters that were stories allowed us to tell stories while solving problems, If she was learning the reciprocal relationship between addition and subtraction, for example, we could say something like 7 purple bears were eating ice cream in the forest when 5 yellow turtles came by and asked to join the party. How many animals altogether were eating ice cream? The purple bears became really grumpy because the they thought the turtles were hogging all of the ice cream, so they stormed out of the forest. How many animals were left? 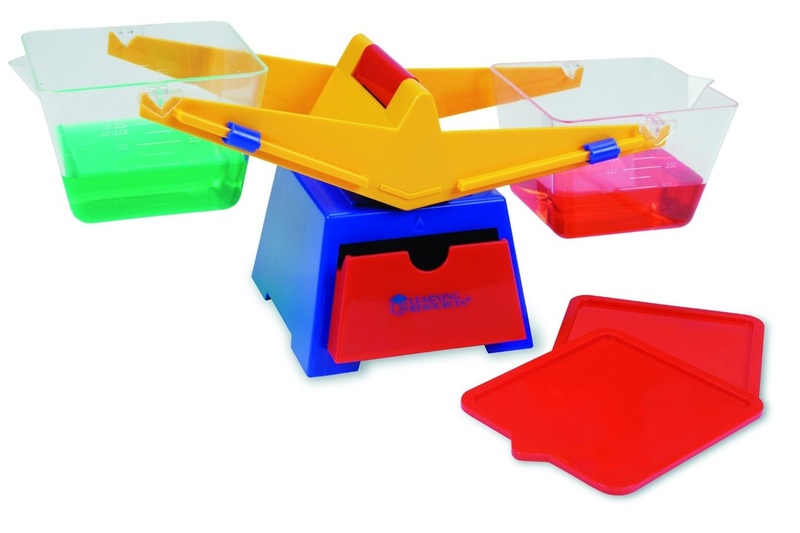 Counters are extremely versatile and can be used to teach any math operation. One of Lady's other favorites is math cubes. These highly versatile manipulatives are fantastic because they stack together and reinforce math concepts visually. We use them not only for math, but also for reading. I like using masking tape and attaching numbers or letters to the cubes so that they can be combined. Lady finds these cubes to be so entertaining that she uses them as toys, building number and letter combinations or even just structures on her own. These cubes have been particularly helpful as Lady has started learning multiplication and fractions. While counters are fantastic aides for math, sometimes children need to be able to visualize the relative sizes of numbers/amounts. 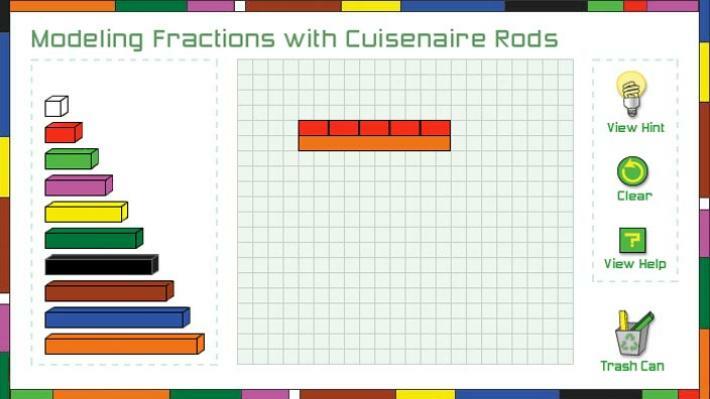 Cuisenaire rods, which differ in length according to the number amount, are perfect in this regard. When Sir Talks A Lot was a small tyke, we used cardstock cut into units to serve the same purpose, but I like the durability of the actual rods. You can purchase rods in either plastic or wood, and you can find online activities or purchase books to help you create new ways for your child to learn using the rods. Fraction tiles, towers and circular pieces are similar manipulatives. Like the Cuisenaire rods, they show relative sizes of fractions via different sized units. Lady Chatterly took to the concept of place value like a duck to water. We used math cubes and my tried and true analogy that only 9 people could stand in a line and the next one up had to change his name and be booted to another group. She loved shouting "Yer outta here!" while carrying. Once she had that down, teaching regrouping took little effort. Sir Talks Alot, on the other hand, found the concept utterly baffling. We used the unifix cubes, graph paper, a character named Traveling Schmoo who traveled back and forth and changed his name. The great saviour for him was a set of base 10 blocks. We used this set or a set similar which was nice because the different colors helped Sir to be able to visualize what was happening. It is my understanding that this set is no longer being sold, but there are other sets all in one color. Of course, now with the magic of technology, virtual base 10 blocks are also available. One of the wonderful things about using balances and scales is that, particularly when teaching addition, they allow students to see exactly how numbers combine to create equal amounts. 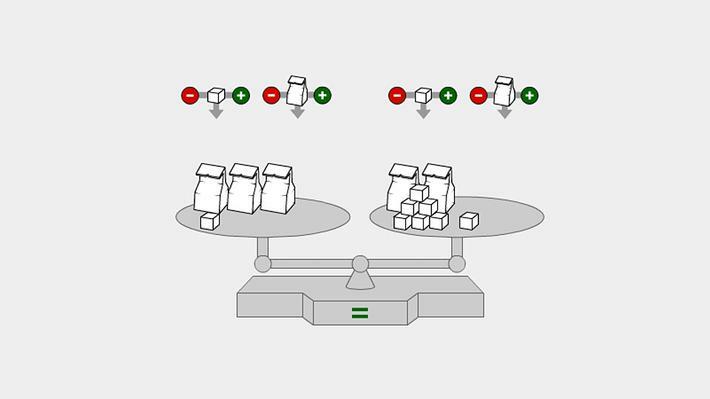 In general, there are two kinds of balance: a bucket style in which you place objects until the two sides balance, and a peg style where weighted tokens are placed on either side until the sides balance.Of the two general styles, I far prefer the latter when it comes to helping children understand how numbers combine. Of course, if you are working with younger children, the bucket style balance is helpful for developing an understanding of quantity. We used this for hands-on practice of addition and subtraction. Currently, we are using it to teach multiplication. This kind of balance can be used to compare liquids and solids. 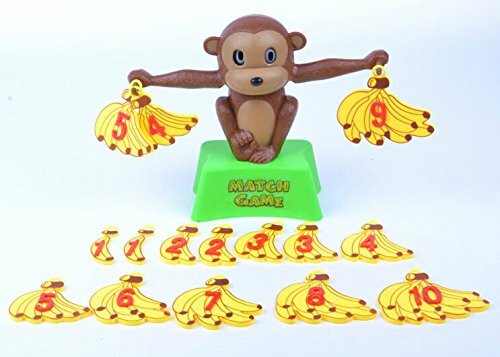 This was one of Lady's favorite math toys to play with. Unfortunately, she loved it so much that she broke one of its arms off. When we first started homeschooling, there were few digital resources, and every resource had to be purchased at great expense or made with significant difficulty. Now, there are all kinds of free resources to make our lives easier. One group of these is virtual manipulatives. In other words, there are sites which simulate the hands-on products that you might otherwise purchase. 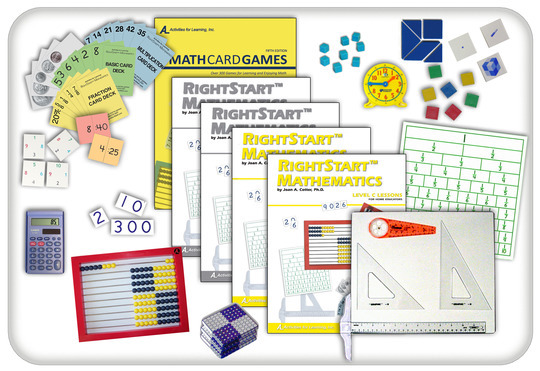 These help with algebra, counting, graphing/data analysis, geometry and more. One of these, the National Library of Virtual Manipulatives, organizes online activities by grade level and subject area. A bonus for us at least, is that it is downloadable so if you have problems with Java, you can circumvent working with it. Some interactives feature open problems for children to explore concepts. This following game from PBS media is a case in point. In it, children are tasked with trying to solve how many blocks are in each bag given a starting equilibrium. Math Playground, an entire site devoted to the idea that children learn best by playing with idea and concepts, has a wonderful selection of math manipilatives for understanding fractions and geometrical concepts. 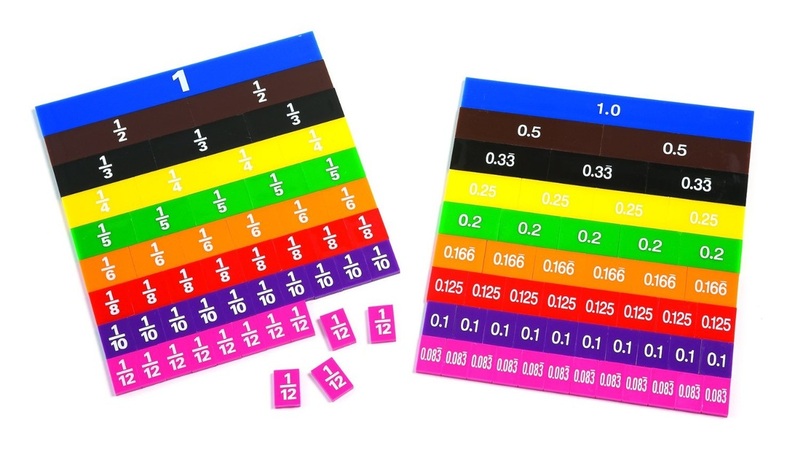 Math Tool Chest is a flash based set of manipulatives which allow you to either assign problems which can be worked out via the manipulatives or to allow the student to play and discover alone. There are, in fact, so many sites for math manipulatives from games with specific agendas to completely open-ended tools that I can not possibly list them all. If you are interested in exploring more, however, click on the graphic below to navigate to a page with a great list of links. So you have the tools, then what? Some people are recipe and blueprint people. Faced with a random assortment of stuff, they just see an overwhelming mess. If this describes you, then you might want to consider researching a manipulatives-based curriculum where the math activities have been planned for you and the manipulatives are provided. One such curriculum is Right Start Math. 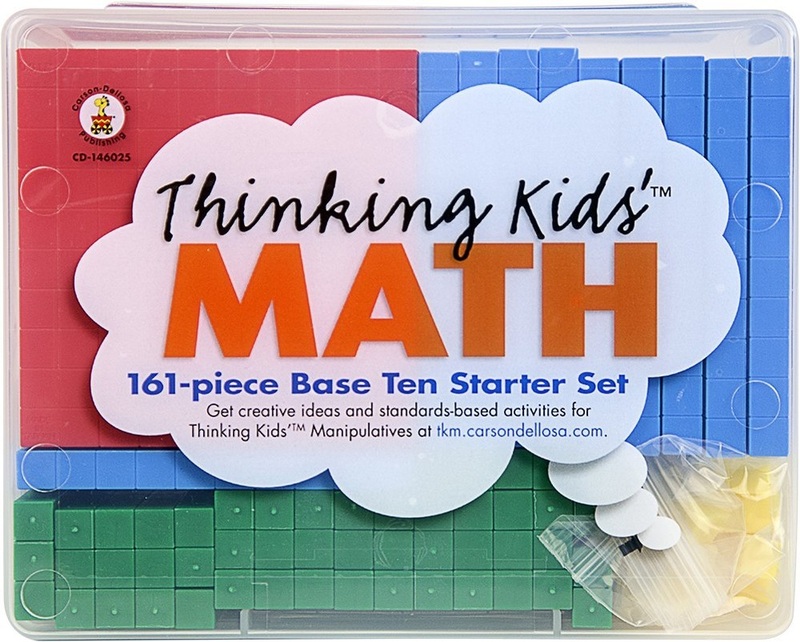 Developed by Dr.Joan Coetter, the program helps children to develop an intuitive sense of why math works rather than simply memorizing math facts. The program offers instruction for elementary through middle school aged children, and there is a placement test to help determine which level is appropriate for your child. The Math U See program utilizes manipulatives through Algebra 1 in order to contextualize math. Steve Demme, the creator of the program, wants students to understand the practical applications of mathematics and to know why the solution to problems are derived. Hands On Equations is another manipulatives-based program; however, unlike the previous two, this program focuses on teaching algebraic thinking. It is targeted at students in grades 3 and up. Apps in IOS and Android formats are available.